Radio Exe are hosting an on air advent calendar this Christmas! Every day from December 1st - December 24th tune in to Ben Clark Monday - Saturday, and Mike Harwood or Judi Spiers on a Sunday to see what is behind the door of the Radio Exe advent calendar - and how you can enter! All prizes are courtesy of local businesses and could be delicious Christmas treats, the chance to be wine and dined, and maybe even a trip away! We've got everything you need to make your Christmas that bit merrier. DAY 1: A luxury fruit cake from our friends at Mad Cakes! The cake is a 10 inch, homemade fruit cake, covered with marzipan and white fondant icing. Topped off with a Santa topper and worth £40! If you want to take a look at some of the tasty treats created by Mad Cakes head over to their Facebook page: Mad Cakes Exeter. DAY 2: A combined Christmas fruit and vegetable box from our friends at Veg in a Box! This box worth £36 is a one off prize for the winner and will include potatoes and all local seasonal vegetables – alongside cranberries and herbs for your Christmas feast! DAY 3: A £50 voucher to enjoy a meal at Jasmine Thai Restaurant! You can select any items off the a la carte, set and drinks menu so you can enjoy a wonderful evening of authentic thai in Exeter. DAY 4: An ANNUAL family of four membership to Devon's Crealy Great Adventure Park, set in 100 acres of glorious Devon countryside, with over 60 rides and attractions and over 75,000 square feet of indoor fun, there is something for the whole family to enjoy whatever the weather! DAY 5: Behind door number 5 we have a tapas evening for two at Chandos Deli. You can choose any Thursday or Friday you like during December and January. You’ll receive 6 tapas dishes to share between the two of you, along with a bottle of wine from a stunning New Zealand winery called Mission Estate. DAY 6: Our friends at Stuart Line Cruises are offering you the chance to win a family pass to Sail With Santa on either Monday 21st December or Tuesday 22nd December! DAY 7: A Vineyard Tour and Wine Tasting for two, worth £40.00 from Pebblebed Vineyards! Tours and wine tastings take place from May to October at their Clyst St George Vineyard just outside Exeter in Devon. DAY 8: A meal for 4 at Urban Burger - up to the value of £60! Urban Burger in Exeter is family owned and run restaurant that serves gourmet burgers, all hand-make using locally sourced Devon meat. There is nothing fake in their food and there is something for everyone: beef burgers, chicken burgers, vegetarian burgers, steak and salads. DAY 9: Exeter Golf and Country Club are offering you a months membership! You'll be able to use the gym, sauna, steam, jacuzzi and try out selected classes! You'll also have access to The Sports Bar, 'The Hub' Cafe, Wear Park Restaurant and Wear Park Spa. DAY 10: Princesshay are giving away a £100 gift card! With this one card you can shop at over 70 shops and restaurants in Exeter, and it’s valid for 12 months! DAY 11: The Riverford Field Kitchen are giving away a meal for two at their award winning organic restaurant for either lunch or supper for any time throughout January-March 2016. Expect a feast of freshly-picked seasonal produce straight from their fields, with organic meat and fish options! DAY 12: Quickes are giving away a 1.8kg Mature Cheddar Truckle! All Quickes cheeses are handmade on the farm by expert cheesemakers and wrapped in muslin cloth to slowly mature. Traditional cheddar – the way it should be! DAY 13: A Rhino Adoption Gift Box from Paignton Zoo! It comes in a fantastic gift box containing: A rhino adopter’s certificate, an adopter’s plaque near the rhinos for 12 months, a photograph of the adopter’s rhino, a fact sheet about rhinos, one free ticket to the Zoo and a rhino soft toy. DAY 14: Pebblebed Vineyards are back, this time they are giving a wine tasting and tapas for 2 people, worth £50! You’ll get to sample four or five different wines and you’ll have the choice of local tapas platters to accompany it. A knowledgeable member of the team will talk you through how the vineyard was established and describe the wine making techniques. DAY 15: A £50 voucher to enjoy a meal at Chiquito! Their menus are packed with Mexican and Amercian dishes to suit all tastes – from wild to mild, they’ve got every flavour. DAY 16: Downes Crediton Golf Club are giving away a round of golf for 4 people at their popular 90 acres parkland course - which provides a fair challenge to golfers of all abilities! DAY 17: A two course meal for two people at either lunch or dinner time from our friends at The Travellers Rest! DAY 18: An evening for 4 in the Brewery Tap at The Exeter Brewery. They'll serve a dinner of Tom’s Pies with mash, peas & gravy along with all their own ales for all for of you! The Brewery Tap is open this every Thursday – you can choose which you can attend (subject to availability). This prize is approximately worth £100 – depending on much ale is consumed! DAY 19: A £50 voucher to enjoy a meal at The Stables. You can choose from a wide variety of beers, lagers, wines, spirits and coffees to complement their honest home cooked local food! 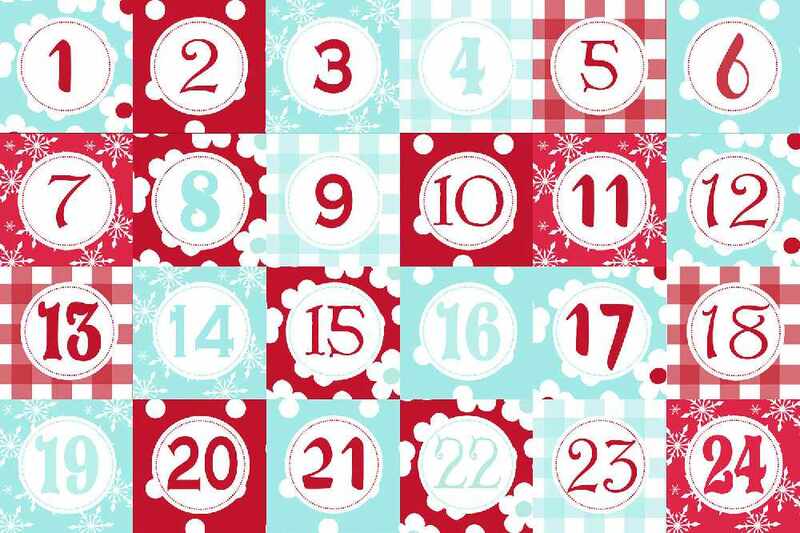 DAY 20: Radiance Medi-Spa are giving away £75 worth of vouchers to spend there! This can be used to pay for any treatment, product or service in the hair, beauty or the aesthetics department! DAY 21: Pebblebed Vineyards are back for the final time - giving you your last chance to win! Today they are giving away a case of their 2013 award winning sparkling white and rose wine - worth £125! DAY 22: A beautiful pair of 7mm cultured pearl earrings with gold fittings, worth £55! From our friends at Michael Spiers. DAY 23: Starz Bar & Grill are offering a cocktail workshop for you and 7 of your friends in the Starz Lounge Bar. You get to make 2 cocktails, shots and you'll have your own personal bar tender. Perfect for a work team building event, birthday, hen parties or just as a treat for you and your friends. Worth £160! DAY 24: OUR FINAL DAY OF THE RADIO EXE ADVENT CALENDAR! Our last prize comes from our friends at Exeter International Airport. They are giving away a pair of return Flybe tickets from Exeter Airport to London City Airport...including free parking for up to three days, free fast track Security and Executive Lounge. Worth up to £300! 2. The Winner is responsible for their own photo ID and for the photo ID any person who travels with them. 3. Travel insurance, accommodation and transfers are not included in the prize. 4. Both flights which comprise the prize must be taken simultaneously and cannot be used on separate dates. 5. Flight tickets are strictly subject to availability. In the event of unforeseen circumstances, Flybe reserves the right to substitute a prize for an alternative of equal or greater value. 6. The prizes are non-transferable, non-exchangeable and there is no cash alternative. All prizes are subject to terms and conditions provided by the client. For Radio Exe competition terms and conditions click here.